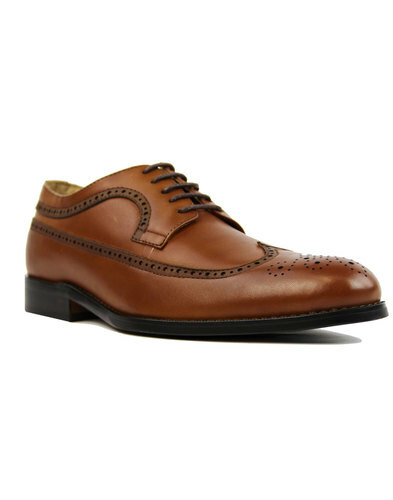 Paolo Vandini 'Spencer' Men's 1960s Mod Prince of Wales Check brogues in burnished tan. 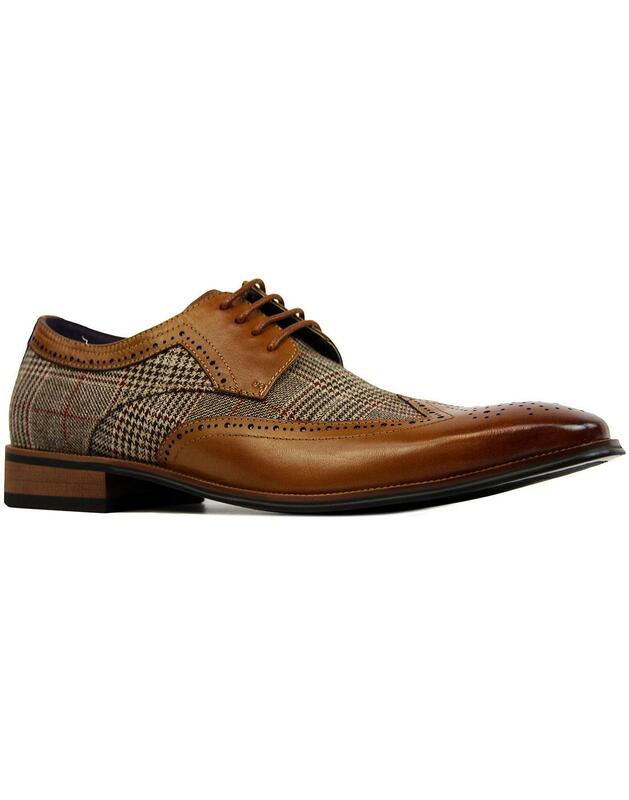 The classic Ivy League inspired wingtip brogue shoes punctuated by a fab Retro textured Prince of Wales check. A flash of red enhances the POW check design and the Vintage wood effect heel finishes the brogues off in style. Traditional punched brogue details to toe cap, foothole and wingtip. Take note of the classic squared off toe, sure to add definition to your 60s Mod suited and booted look! 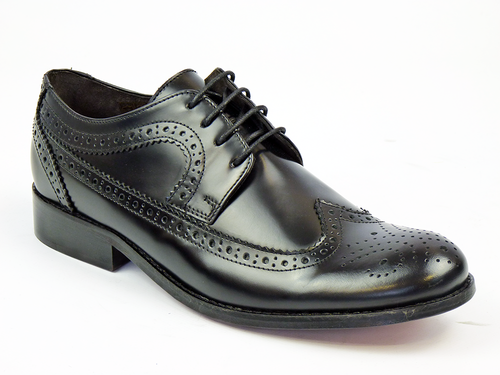 Paolo Vandini 'Spencer' Men's Mod brogue shoes are unique and sure to stand out! - Paolo Vandini 'Spencer' men's 60s mod wingtip brogues in tan. - Prince of Wales check design. - Vintage wood effect block heel. - Ornate baroque interior print. 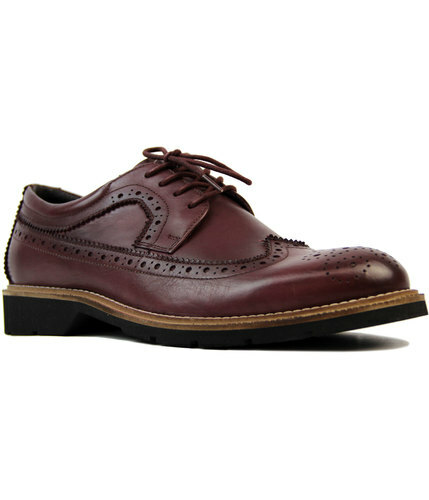 - SKU: Spencer POW Check Brogues. Composition: Leather and textile upper, leather lining, other outsole.